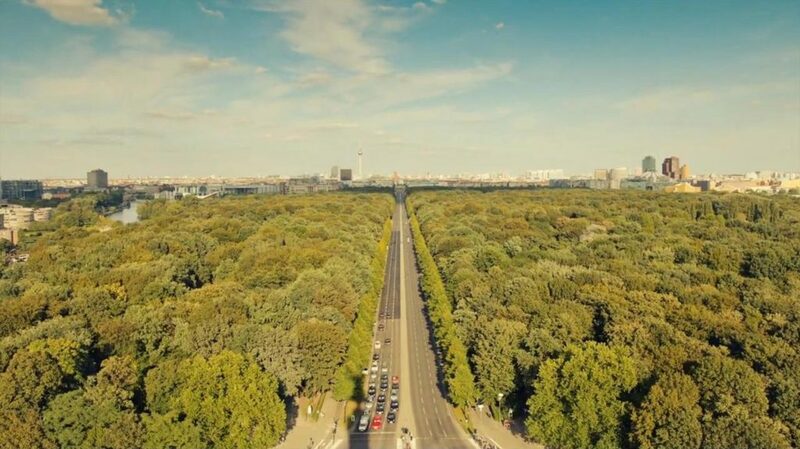 The patterns that appear when you speed up the small and slow rituals of everyday life become hypnotic and peaceful in time-lapse videos, which is why Matthias Makarinus‘s video of Berlin is fascinating. Created out of 50,000 photos and thousands of people, the video is actually a dynamic display of light, street life and movement. Of course, no city is complete without transportation infrastructure, so the video also displays the patterns of transit, whether they are cars stopping for a red light or passengers waiting to board the next train. We’re fond of urban time-lapse videos around here. We previously wrote about Ross Ching’s depiction of Los Angeles without cars, Dominic Boudreault’s bustling cityscapes and Mike Bodge’s New York City sky hues.